Anyways, I’m currently in Sicily enjoying tons of amazing food (apparently a little too much since the zipper of my pants broke last night, hahaha). Later today we’re off to Catania but right now I’m heading down to the beach to shock everyone with my paper pale body. Allora, ci vediamo dopo! Monki shirt. Zara leather skirt. Zara heels. A.J Morgan sunnies. Zara Clutch. I like the last pic the most. I like the white skirt blue top combo alot ! I loved the floral shirt but your outfit are absolutely perfect! Lovely pic the last one!! The three of you look gorgeous! I love your floral shirt! love your leather skirt!! and as always, those shoes! Heels are perfect!!! And Zara cluch is also great!!! Cool outfit, love the leopard clutch!! You’re looking lovely! Great leather/flowers combination. I’ve also been in Sicily (twice) and Catania is a great city! So cute to see you, Andy, and Chiara hanging out together. You always have the most beautiful Zara finds (the feline print clutch, d’orsay heels, and pleated skirt). You are such a beauty! Love your blouse. Those metallic heels are so dary, I love the way you wear them. Great style. The whole outfit is perfect. LOVE! Beautiful outfit, I love those shoes. Love the skirt and heels. Great look! Love that skirt! Both the skirt and clutch were sold out by the time I got to Zara! Love the skirt and how you paired it. I had seen these heels before but now I actually like them! I am having a giveaway not too many people have entered if you are interested! I love the clutch with the shirt. You look great! loove the picture of the three of you! this is just to good to be true!!! especially the las picture is a m a z i n g !!! love the mix of these prints and that last photo of you chiara and andy is ADORABLE. I’m totally in love for your look! Wow I love, love love the feeling in the first photo! Wonderful lights and that dimly lit, tranquil atmosphere which sometimes manages to exist at night… LOVE. Nice that youÂ´re having a good time. That is a great floral shirt, it definitely has a vintage vibe to it. I also love how you integrated your clutch and heels in this outfit. It’s great to see a fashion blogger who takes advantage of all their clothing and accessories even if they already wore it once. Lovely pics, the last is great!! Great outfit!! Love your heels and your skirt! Lovely pics! The last one is very pretty! I like your smile! Lol I see you’re wearing the Zara heels again. The last shot is particularly good and I adore the blouse! http://www.tripsandtreasures.blogspot.com – new outfit post ! too excited! can’t wait to see what you guys are up to. p.s. you’ve all got to stop teasing about this project!! I love these photos honey! Beautiful colors! Such a cute outfit! love the mixed prints paired with the metallic heels! gorgeous. 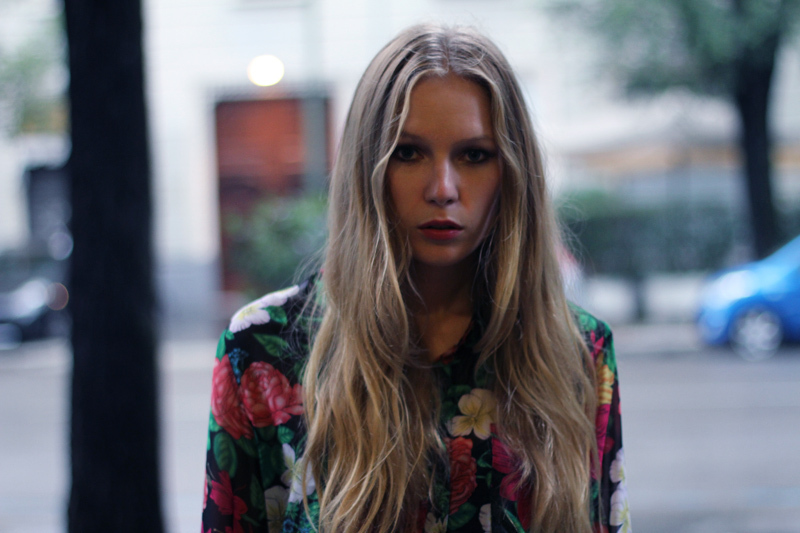 In love with your shirt, love the colos of the flowers! you’re amazing. I love your blouse! its so pretty! anything floral catches my eye aha! the pic of you girls walking is just PERFECT! 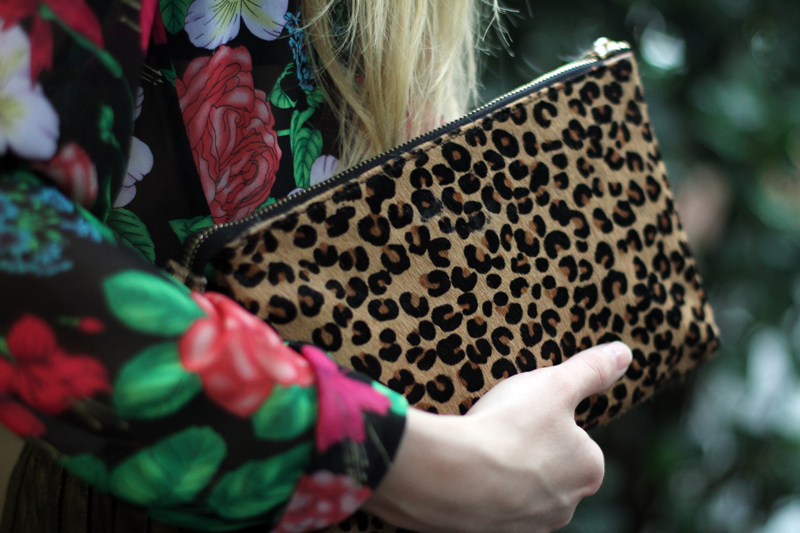 The leopard clutch is awesome! 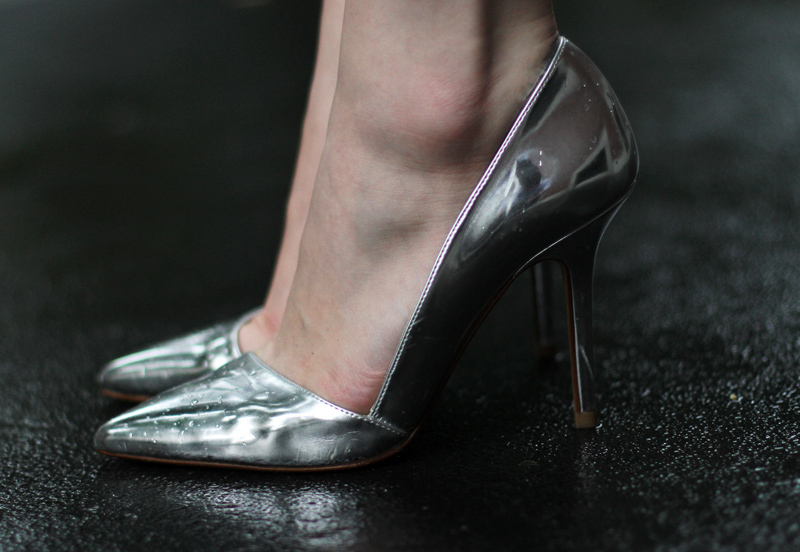 you weren’t kidding when you said the silver Zara heels match everything. They definitely do!!!! Love them! I’d never get the idea wear leo with flowerprint. But it looks so beautiful. I love your style so much! I love your style! This flowerprint looks amazing! That flower shirt is amazing. I love that photograph of all three of you, really cute. Please check out our latest post from Goldie London – the Goldie Loves Wishlist. You look so lovely as always! You must love that leopard clutch since I’ve seen it a few times on your blog. Good luck with the secret project and hope you have fun in Sicily! I love the floral top and metallic heels!!! Just died. Love how flowers look on you :)! that last photo of the three of you is so beautiful. and i just love your mirror-like Zara heels! This outfit is so lovely – you three look so happy in the last picture. Beautiful! Love allof the patters mixed together, really make a greatcontrast! Ah you look so chic and the three of you look like you are having a wonderful time. Love the top.